The Pedometer is a simple gadget that can create healthy awareness of your brand. The single function pedometer has a large, easy to read display. The Pedometer is a simple gadget that can create healthy awareness of your brand. 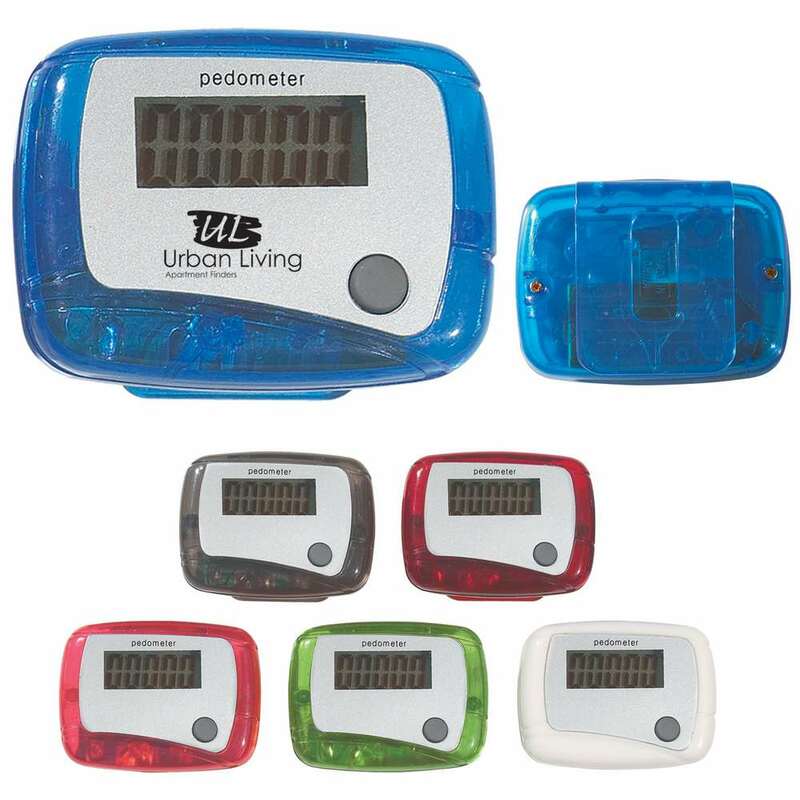 The single function pedometer has a large, easy to read display. It also has a clip on the rear, for attachment to belts. It is available in translucent blue, red, green, and charcoal colors or in a solid white construction. The pedometer records up to 99,999 steps. It makes a great giveaway for those who work in the fitness industries; at marathons, charity runs, and wellness programs. Add your brand’s logo on to this fitness essential and pleasantly remind your customers of your company’s care and service.